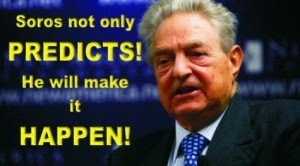 George Soros is most well-known for playing a major role in the funding and facilitating of the “Bulldozer Revolution” in Serbia that overthrew Slobodan Milosevic in 2000, Georgia’s “Rose Revolution” of 2003, the 2006 push to move Turkey toward a more Islamist governing structure, and even the Occupy movement in the United States among a great many others – none of which brought anything other than greater misery, impoverishment, and police state mechanisms to bear on the general public. The Occupy movement, being the only exception, still brought nothing to its participants except the opportunity to burn off excess anger and energy along with a few cracked protester skulls. It was otherwise an incredible waste of time. In addition, George Soros has been heavily involved in the social unrest and movement-wrecking activity that has taken place all across the United States in recent months. 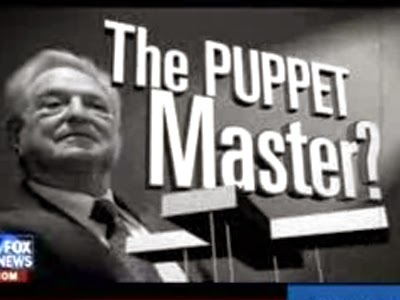 From Florida to Ferguson and then on to Baltimore, George Soros’ Foundations have been involved in making sure that not only are American citizens unable to overcome racial divisions with mutual cooperation but that even the racially isolated participants are unable to accomplish anything of substance. In Macedonia, like in the United States, Soros organizations work under the pretense of left cover. In other words, Soros NGOs fund and operate organizations and movements that are seen as Left in nature but are, in reality, revolutionary organizations designed to push a political agenda, change Macedonian culture, install puppet regimes, and ultimately serve the purpose of the Anglo-American oligarchy. The OSI has been active in Macedonia for some time, with Vladimir Milcin heading the organization for nearly twenty years. Milcin was a former police informant in the days of Communism. Milcin was instrumental in ratting out a dissident actor Risto Siskov. In America for the past many years, we have had a plethora of Soros-funded groups: MoveOn.org, Media Matters, the Center for American Progress, etc. Macedonia has its rough equivalents. But they mean more in Macedonia than the Soros-funded groups do in America. Back home, we have a zillion conservative groups to counter the Soros groups. The Left has its billionaires, we have ours. You hit me with Soros? Okay, I’ll hit you with a Koch or two. In Macedonia, I’m told, there is no tradition of donating money to a cause. There aren’t think tanks and activist groups and the rest on the right. So, the “Sorosoids” own the field. 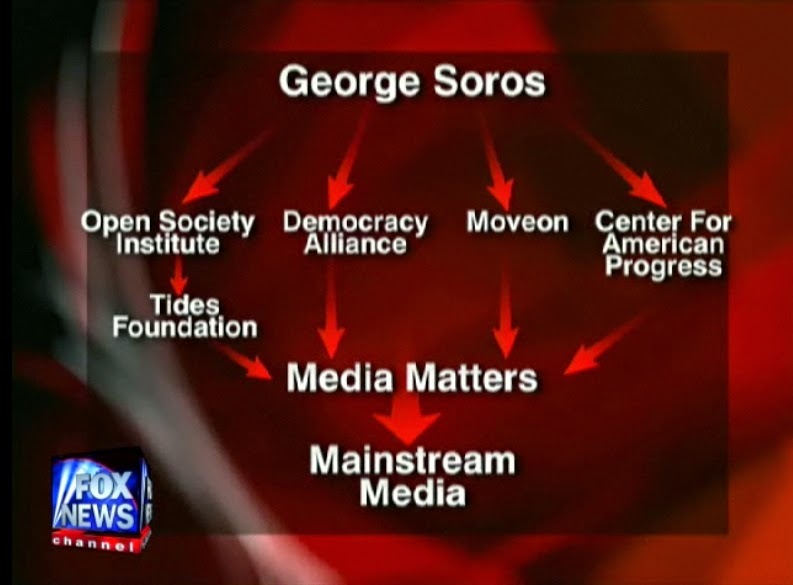 While this may be a bit of an exaggeration – the Right clearly has its own agents of control and dissemination – it is clearly true that the Soros influence extends far beyond being able to drive public opinion through clever networking ideas Indeed, through a much tighter grasp upon media outlets themselves, Soros is vastly more influential in the way that news and events are reported than in other locations, even those located in Eastern Europe. That being said, it should be pointed out that Macedonian news outlets like Telma and 24 Vesti are both major players in promoting the anti-government protests (in addition to other operations). Both of these outlets are funded by George Soros. Zaev and [Radmila] Sekerinska are said by Macedonian insiders to be nothing more than fronts for former Prime Minister and President Branko Crvenkovski who continues to head up the SDSM and accept large amounts of largesse from such CIA NGO laundry operations as the National Democratic Institute (NDI), National Endowment for Democracy (NED), Freedom House, and Soros’s Open Society Institute (OSI) to foment a themed revolution against Gruevksi’s right-of-center VMRO-DPMNE government. It is also a known fact that the OSI receives are large amount of money from the US State Department’s USAID. Interestingly enough, Assistant Secretary of State for European and Eurasian Affairs, Victoria Nuland, has been charged by Macedonian intelligence of conspiring with Zaev of the SDSM. The use of social media by the Soros/CIA coup plotters should come as no surprise. Social media served at the very core of the themed revolutions sponsored by the CIA and Soros twice in Ukraine (Orange Revolution and Euro-Maidan uprising), Jasmine Revolution (Tunisia), Lotus Revolution (Egypt), Rose Revolution (Georgia), Tulip Revolution (Kyrgyszstan), and Green Revolution (Iran). In the case of Macedonia, there are clear indications that the Deputy Assistant Secretary of State in the Bureau of Democracy, Human Rights and Labor (DRL) Thomas Melia, responsible for DRL’s work in Europe, including Russia, as well as the Middle East and North Africa, conspired directly with Zaev to mount a coup against the Gruevski government. Melia is the former deputy director of Freedom House, a Cold War-era neoconservative bevvy of U.S. war hawks based in New York. Although founded in 1941 by such progressives as Eleanor Roosevelt, Ralph Bunche, journalist Dorothy Thompson, novelist Rex Stout (creator of Nero Wolfe), and Republican presidential candidate Wendell Willkie (who would be considered by today’s Republicans in the U.S. as a stark-raving liberal), Freedom House has devolved into a neoconservative chatter source having employed as their board members in recent years such war hawk cretins as Paul Wolfowitz, Ken Adelman, Zbigniew Brzezinski, Donald Rumsfeld, and Otto Reich. Freedom House has been caught red-handed funneling CIA money to opposition groups in Iran, Sudan, Russia, and China. In essence, Freedom House, like Soros’s NGOs, serves as a conduit for CIA support for rebellious opposition forces in dozens of countries around the world, countries that now include Macedonia, as well as Hungary, Venezuela, Syria, Egypt, Serbia, Jordan, Mexico, and Cuba. In addition, it has been reported by a number of media outlets, most notably the Russian and Macedonian press, that George Soros has tapped into the Canvas network, enlisting the organization to “help” in Macedonian protests. Canvas members have managed to get themselves permanently banned from ever entering Russia, but they are welcome in the Macedonian capital. Soros Open Society Institute and the CIA via its fronts (PNAC, NED, USAid) have hired Canvas to do work in Macedonia. Canvas issued a memo to Macedonian students (three weeks prior to protests) that they would award the two best protest ideas with $1,500. The ideas were sent to Sonja Ismail, daughter of Guner Ismail, a popular SDSM member and official. The gang pretending to be NGOs and trained to overthrow Governments and stage Coups around the world is paying $1,500 for ideas how to better organize demonstrations, reports Vecer. That gang is Soros’ Open Society Institute, USAid (Front for the CIA) and the Forum Group (another Soros “NGO”). This group has already backed and financed not just the Macedonian opposition SDSM, but their activists & protests, dating back to 2011. Serbian based Canvas led by Srgja Popovic who specializes in demonstrations has been hired both by Soros and the CIA to “help” in Macedonia. Canvas has gained quite the notoriety. Namely, the UAE has listed Canvas in the same ranks as Al-Qaeda, it is the only non-muslim terrorist organization! Canvas and Srgja Popovic were instrumental in bringing chaos to Ukraine (look at Ukraine today) and in removing Egypt’s Hosni Mubarak from power (look at Egypt now). Canvas first earned its notoriety for bringing down Milosevic. But it didn’t stop there. Canvas was repeatedly hired by the CIA to organize protests in Gruzia, Moldavia, the Maldives, Lebanon, Egypt, Ukraine…. Canvas first appeared in Macedonia in 2009, when it became apparent the SDSM will be in opposition once again. The thug for hire himself Srgja Popovic was present in Ohrid to christen the opening of a “Canvas Academy” where future protesters and activists would be trained and be called upon when the time is right. Who was the financier of this academy? USAID and Soros. Soros employees Gjuner Ismail and Sasho Ordanovski were the promoters. “Students were paid and agrgresively trained on how to protest in December of 2014 and January of 2015. Srgja Popovic himself showed up and met with Zaev in March, April and early May 2015. On May 6th Canvas (SDSM) activists violently attacked policemen, injuring 38”, reported Vecer. Canvas was heavily involved in the death of Russian opposition leader Nemtsov, just few days before the opposition protest. The goal was to destabilize the situation, create internal conflict. But most Russian saw through the orchestrated murder for what it was, an ordered hit. When one takes into account the wife of Canvas’ leader worked at Stratfor (another CIA front), then things become clear, says Vecer. Prior to Canvas, Serbia had another group created by undercover NGOs. It was called “Otpor”, financed by Freedom House, another front for the CIA. Even the UN investigated Freedom House for their ties to the CIA. Members of Otpor have today joined the ranks of Canvas. While the justification for the protests has been presented as a wiretapping and surveillance scandal, there is a great deal of question as to who actually surveilled whom. For instance, while the Western and Soros-funded press is clear that the Macedonian government wiretapped the “opposition” and additional officials, other evidence suggests that it was the other way around and that the “opposition” actually wiretapped members of the Macedonian government. The small Balkan country of Macedonia is in turmoil after it was revealed that the government wiretapped 20,000 people. . . . . On Sunday night, tens of thousands of people surrounded this building, demanding the resignation of Gruevski, the conservative who has run this country for the last nine years. They say Gruevski’s government has paid off judges, rigged votes and framed political opponents for crimes. A leftist opposition leader, Zoran Zaev, says it’s all on tape. He released 670,000 secretly recorded conversations from 20,000 Macedonian phone numbers. Shumanska says the government is spying on its own citizens. Macedonia unfortunately finds itself in an ethnically and nationalistically susceptible state. Since its formation in 1991, Macedonia has found itself at odds with Greece and Bulgaria (two bordering states) over a naming and territorial controversy as well as with Kosovo, Serbia, and Albania (three other bordering states) in regards to “ethnic Albanians,” from whom a movement has emerged that often flirts with separation. While the Albanians are a minority in Macedonia, they are about 25% of the population according to some statistics, large enough to cause a stir when agitated. Because these Albanians mostly live near the Albania-Kosovo border, they can be tempted to push for a “greater Albania” on the same model as the Kurds inhabiting Iraq, Iran, Syria, and Turkey push for a Kurdistan. In addition, because of the firm grip that George Soros and his networks have on the Macedonian media, it is much easier to disseminate a certain viewpoint to the population than in a country with competing viewpoints. This is especially relevant when one considers that the total population of Macedonia is only about 2 million people, thus making the goal of reaching the majority of the population with that message a possibility that is all the more real. the ‘opposition’ was already boycotting the Parliament as it was, thereby creating the perfect social situation for a Color Revolution to took root and be ‘convincingly’ broadcast to outside audiences. All of these factors came together to create a situation that the West couldn’t’ resist destabilizing, if only for the fact that its demographics provide it with easily controllable variables to that make for a perfect Color Revolution test scenario. While geopolitical positioning, geostrategic jostling, and the desire for political influence are most certainly reasons for the destabilization of the Macedonian government, the most acute issue regarding Macedonia is the question of the Balkan Stream Pipeline (aka the Turkish Stream Pipeline). The Balkan Stream, of course, is a Russian restart of the South Stream Pipeline, which would have stretched from Russia through the Black Sea to Bulgaria to Serbia, Hungary, Slovenia, and Austria. The oil and gas would then have been delivered to Europe. This project was abandoned after Bulgaria was bullied by the EU (and the United States) into reneging on its promise to participate. The Balkan Stream is now a plan to take that Russian gas and oil from Russia and bring it through Turkey, into Greece, Macedonia, Serbia, Hungary, and in to Austria. It will be a replacement for the South Stream pipeline and an alternate route to provide oil and gas to Europe, particularly now that the decision has been made to begin bypassing Ukraine in 2019. Currently, Russia provides Europe with about 30% (or 1/3) of its energy. This provides not only the obvious benefits of profits and services to both countries but it also ensures that Russia has Europe over a barrel, the EU being dependent upon the oil and gas rich nation for a wide variety of energy sources. Thus, it ensures dependence upon Russia and thus better (theoretically) international conduct between the two countries if for no other reason than the EU would be hesitant to provoke Russia for fear of having its oil and gas cut off. The US and NATO have been frantically trying to remove this leverage over Europe by attempting to sabotage oil pipelines in the Middle East that might benefit Iran in favor of oil deals that would benefit Saudi Arabia, Qatar, and other Gulf State feudal monarchies, all essentially satellites of the Anglo-American oligarchy. It is precisely why the US was so adamantly opposed to Bulgaria’s participation in the South Stream project. Of course, it is also important to point out that the question of the creation of “micro-states” and “mini states” on the Brzezinski model is, as always, readily present. This method is essentially both a strategy of tension and a goal of creating a world where previously united nations are reduced to petty impotent and squabbling pseudo-states incapable of standing up to any major government, corporation, or bank. Likewise, a planet of peoples who are incapable of viewing anything other than the convenient scapegoat given to them by the world oligarchy will be incapable of resisting the power and will of that oligarchy. In the absence of a fully formed “micro state,” the ability to use poorly drawn borders, ethnic conflicts, racial tension, and religious fundamentalism/antagonism provides this oligarchy with the ability to play national governments and their populations like a fiddle. The attempt to present the Macedonian color revolution as the legitimate will of the Macedonian people – as in Syria, Libya, Ukraine, and others – can easily be disproven by talking with Macedonians. Unlike Western audiences, the Macedonian public is somewhat more hesitant to believe their billionaire owned media outlets. If speaking with Macedonians is not convincing enough, one can simply witness the massive pro-government demonstrations now taking place in response to the anti-government protests. For instance, on May 18, tens of thousands of Macedonians marched in Skopje expressing support for Prime Minister Gruevski and the Macedonian government. These marches might not be interpreted as love for the government and its politicians so much as a response to the obvious color revolution apparatus at work inside their country. It is more of a statement of rejection of outside influence in Macedonian domestic affairs than support for the status quo. The unrest taking place across Macedonia over the last few months and currently bringing tens of thousands of Macedonians out into the streets is the result of a the deployment of the Western-engineered color revolution apparatus designed to destabilize and overthrown the Macedonian government, who has agreed to work with Russia to build the Balkan Stream pipeline through the country. This color revolution, created and deployed by Western governments, NATO, and the Soros networks of NGOs, Foundations, and “civil society groups” is an attempt to remove any leverage Russia may have over the EU and to expand the hegemony of the world oligarchy. We must support the Macedonian people in their resistance to this color revolution and oppose such illegal and unjust intervention here at home.